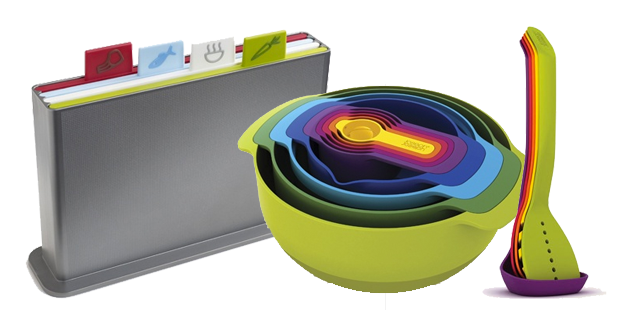 Take a stand against a disorganized kitchen, literally. Always conscious of the space restrictions imposed by modern urban living, Joseph Joseph created this attractive five-in-one set that takes up minimal space, even when it's permanently propped on your counter. 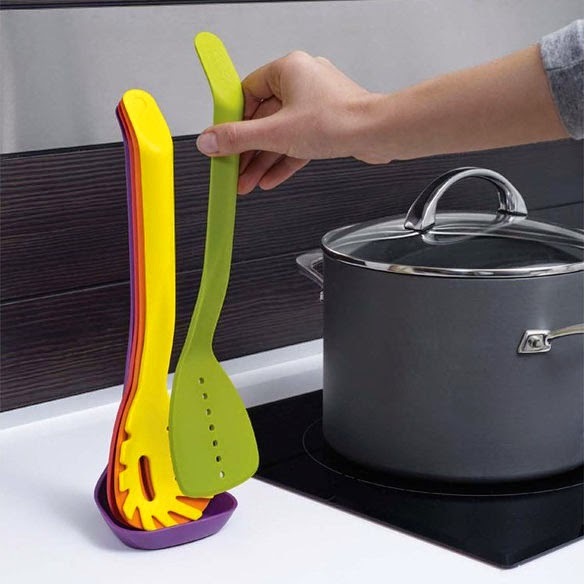 The unique silicone set is held together by a magnet at top of each handle, allowing the ladle, pasta strainer and both solid and slotted spoons to be stacked together so that all five occupy the absolute minimum amount of space while staying within an arm's reach. 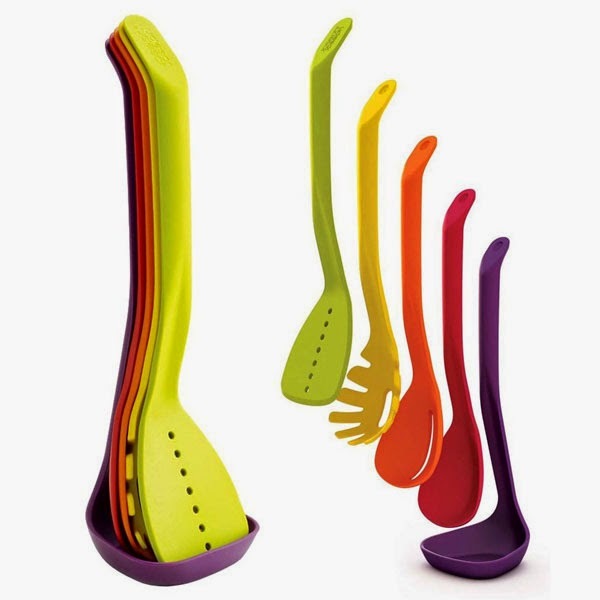 Finally, you can prepare soups, stews, pastas and more, without causing a stir searching for the right spoon. No more drawers of tangled tools or unorganized piles! • Self-supporting design saves space! • Complete, simple organisation for your tools and workspace! • Elegantly packaged - great gift idea for housewarmings, engagements, wedding & more!